At MyParkingPermit, we’re passionate about parking. Before you start, we already know – parking is supposed to be the most boring thing on earth. But the more closely you examine it, the more complicated it becomes. Most importantly, how can you organize your parking to make the best possible use of what turns out to be an expensive and valuable asset? 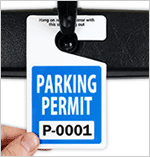 MyParkingPermit’s blog is where we track issues of urban planning, lot design, trespassing and disability law, safety and security issues relating to transportation, and anything else that’s relevant to our products. 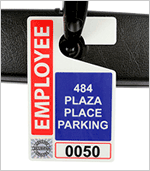 MyParkingPermit is an affiliate of SmartSign, a sign, label and mat manufacturing and distribution company that offers over 100,000 products. 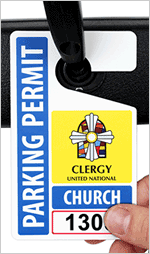 Our proprietary customization options allow you to put your own stamp on whatever signage and permit system you choose to adopt, whether with your company or town’s brand, or with whatever other graphic you choose. 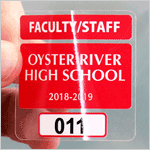 We offer numerous material options and the lowest pricing in the business, so your own designs are limited only by your imagination. If you have any questions or if there’s an interesting story you think we’d like to hear about, please don’t hesitate to email the editor at conrad [at] smartsign [dot] com.